Congenital scoliosis is a three-dimensional deformity of the spine including a frontal plane deviation of the spine caused by malformations of vertebrae and ribs. Early surgery is suggested even in mild cases with formation failures in the first three years of life, although there are reports that, in this group of patients, a conservative approach might be beneficial. The purpose of this case report is to document the long-term outcomes of a patient with failures of formation and with a curve exceeding 50° over more than 20 years of his life. The patient first presented at the age of 18 months with balanced failures of formation (hemivertebrae L1 left and Th 7 right) and a thoracolumbar main curve measuring 52° Cobb angle. He was treated with a pattern specific Chêneau style brace for 13 years. 9 years after brace weaning he presented for final review and assessment. The wearing time was reported by the patient at the beginning of treatment at more than 18 hours a day. While applying this prescription of in-brace time the angle of curvature steadily decreased to age 7 at a curvature angle of 40° Cobb. Between age 7 and the 11 years old, the brace wearing time was reduced to 12 hours per day due to the low growth dynamics. With the beginning of puberty the prescription of in-brace time, should be increased again to 20 hours per day. The patient's compliance failed to meet the in-brace prescription amount, with an actual wearing time of only 12 hours per day and the curvature increased to 58° at Risser 4. At the final clinical review and assessment at the age of 24 years, an X-ray was taken and a Cobb angle of 63° in the main curvature area was measured. The patient is satisfied with his clinical appearance and is generally pain free. Only after vigorous sports activities, does the patient feel pain in the main curvature area overnight and the following day. He reported he can avoid this pain if he applies the brace overnight. The patient describes his quality of life as ‘good’. 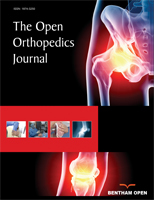 Patients with formation disorders should not undergo early surgery without considering high-quality brace treatment. These patients may have a nearly normal quality of life in adulthood with full participation in all activities, when the curvatures are balanced even with a high angle of curvature. This should not be applied to all cases as in those with one-sided segmentation disorders, surgery should be considered at an early stage. Keywords: Brace treatment, Congenital scoliosis, Long-term follow-up, Spine, Vertebrae, Ribs. © 2019 Weiss and Turnbull.